Come and have a blast at Beacon Academy’s 4th annual fair ‘To Beacon and Beyond’! 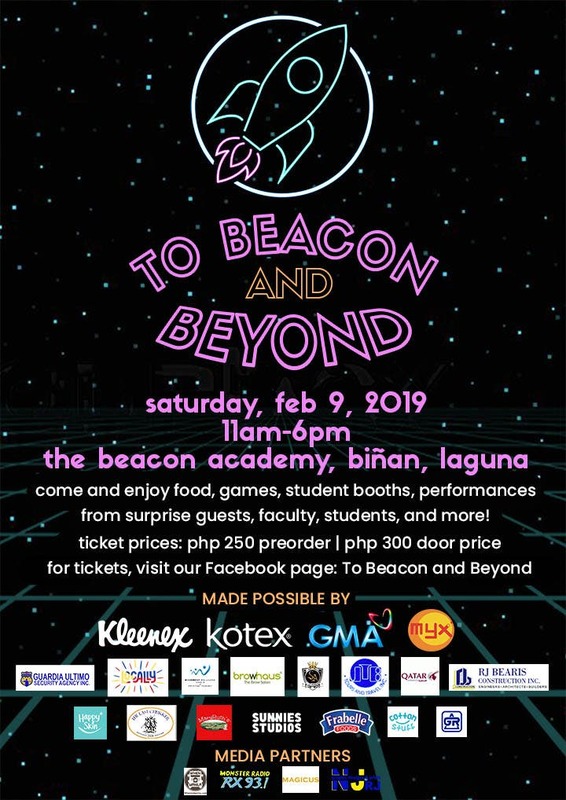 Young or old, near or far, everyone is invited to Beacon Academy’s Annual Fair titled “To Beacon and Beyond,” happening on Saturday, February 9, at their campus in Biñan, Laguna. This out of this world experience will be happening from 11:00 am until 6:00 pm. Visitors will get to enjoy the ‘Battle at Beacon,’ an inter-school battle of the bands, where participating bands from different schools will compete and stand a chance to win a Php15,000.00 cash prize and much more! Enjoy a fantastic variety show featuring Beacon Academy’s student performers. Come and enjoy the fun and exciting games at the student booths, and get your foodie at the food booths. If that’s not enough, come and take part in their goodies-filled raffle with lots of exciting prizes from Sole Academy, Sunnies, Happy Skin, and more!! ‘To Beacon and Beyond’ is a fundraising event for Beacon Academy’s School Life and Outreach Programs. It is sponsored by Kleenex & Kotex, GMA, MYX, Guardia Ultimo Security Agency Inc., R.J. Bearis, Locally, Movement Wellness Studio, Qatar Airways, Sole Academy, JTB Tours and Travel Inc., Browhaus, Happy Skin, The Last Chukker, Ayalaland Premier, Mary Ruth’s, Cotton Stuff, Goatuaco Del Rosario Insurance Brokers Inc., and Frabelle, and media partners WheninManila.com, MonsterRX, MJC Printers, and NJRJ Graphic Design and Prints. Tickets are available online at https://www.facebook.com/events/342119029941802/ at a discounted price of P250 for pre-sale. You may also avail them at the entrance gates of their campus for P300. For more information, contact Beacon Academy via their Facebook Page or get in touch with Denise Clement at denise.clement@­beaconacademy.ph. 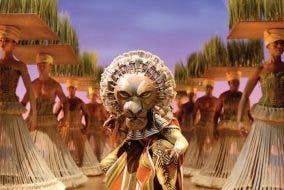 Open Call Auditions For Children For Disney’s The Lion King International Tour!